(Bloomberg) -- Founder letters have become an essential part of the initial stock pitch from high-profile technology companies. “Google is not a conventional company,” the founders wrote in their introduction in 2004. “Facebook was not originally created to be a company,” Mark Zuckerberg wrote in his. Of course, in getting from point A to point B we didn’t get everything right. 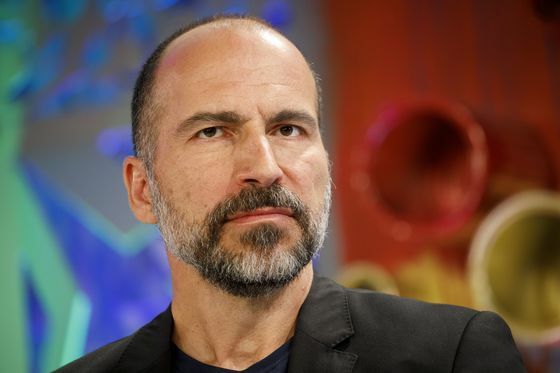 Some of the attributes that made Uber a wildly successful startup -- a fierce sense of entrepreneurialism, our willingness to take risks that others might not, and that famous Uber hustle -- led to missteps along the way. In fact, when I joined Uber as CEO, many people asked why I would leave the stability of my previous job for one that was anything but. My answer was simple: Uber is a once-in-a-generation company, and the opportunity ahead of it is enormous. Building this platform has required a willingness to challenge orthodoxies and reinvent -- sometimes even disrupt -- ourselves. Over the last decade, as the needs and preferences of our customers have change, we’ve changed too. Now we’re becoming something different once again: a public company. Taking this step means that we have even greater responsibilities -- to our shareholders, our customers, and our colleagues. That’s why, over the past 18 months, we have improved our governance and Board oversight; built a stronger and more cohesive management team; and made the changes necessary to ensure our company culture rewards teamwork and encourages employees to commit for the long term.